"We cannot have an environment where our consumers don't trust what they see online," said Unilever's chief marketing officer Keith Weed. He said it was in the interest of digital media firms to act before "advertisers stop advertising". "It is acutely clear from the groundswell of consumer voices over recent months that people are becoming increasingly concerned about the impact of digital on wellbeing, on democracy - and on truth itself," Mr Weed said. "This is not something that can brushed aside or ignored. " "The advertising ecosystem contains so many players, so for Facebook and Google to see any dent in the profits they make, there will need to be many companies that not only put their hat in the ring, but also follow through on these threats," Sam Barker, a senior analyst at Juniper Research told the BBC. The discussion over how online platforms tackle unsavoury and extremist content is not new - it has been rising in volume over the last few years. "Facebook and Google's response to fake news, brand safety and content prompted by hate or extremism has been very slow," Karin von Abrams, a principal analyst at eMarketer told the BBC. "Yes they are now addressing these problems, but they should have been quicker to put money into these things. The efforts they're making are not enough at the moment to weed out these comments and content." "In the current situation, advertisers would lose out," she said. "It may be we're reaching a tipping point - fast moving consumer goods companies will pursue this...they cannot not consider the erosion of consumer trust in their brands." 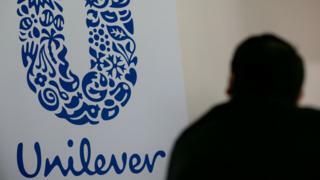 A Facebook spokesperson told the BBC: "We fully support Unilever's commitments and are working closely with them." The BBC contacted Google for comment and is waiting for a response.